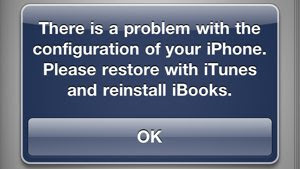 Apple Blocking iBooks On Jailbroken iPhones? Several reports have indicated that users of the latest greenpois0n jailbreak code on iPhones running iOS 4.2.1, have experienced issues that prevent iBooks from opening DRM-protected e-books. According to reports on the blog Social Apples after jailbreaking an iOS device and attempting to open content purchased from the iBookstore users have noted receiving the following error message: "There is a problem with the configuration of your iPhone. 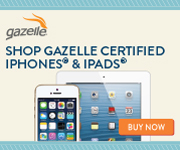 Please restore with iTunes and reinstall iBooks." Later reports and comments via users at Ars Technica and several other sites back the claims with many saying this is nothing but a a "screw you" to jailbreakers from Apple. Ars explains the error is caused by the process that handles verifying and decrypting FairPlay-protected content, Apple's DRM protections scheme which is used on any protected song or other form of media purchased from the iTunes Store. FairPlay is performing a number of checks before decrypting protected e-books. It tries to execute several small, specially crafted binaries—each one made to fail on a standard iOS install but likely to run on jailbroken devices. If these binaries can run—one is unsigned, for instance, while another is improperly signed—then fairplayd can assume the device is jailbroken and refuse to decrypt the content. That triggers iBooks to display its error message. The iPhone Dev Team has announced a new version of Pwnage Tool that will jailbreak your device using the “feedface” exploit developed by Chronic Dev. This new jailbreak fixes the iBooks issue. There will also be Cydia packages available to fix the iBooks jailbreak checks so we can all go back to reading our books. Now that @comex and @pushfix patched the problem, we’ll probably see the fix become universal and make its way over to the greenpois0n jailbreak as well. If Apple can work this into iBooks one has to wonder what applications will be next.The US Government has ruled that jailbreaking, at least for now, is legal. However this clearly doesn't mean that Apple has to support it or that they can't find ways to work in protection schemes that block many of their applications from working.